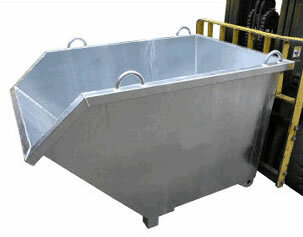 This economical bin is a forklift self dumping bin suitable for most waste handling applications. 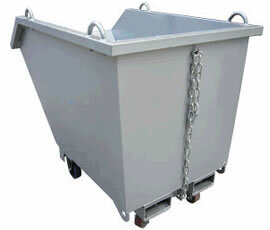 This bin is supplied standard with 4 crane lifting lugs plus 2 upending lugs underneath. 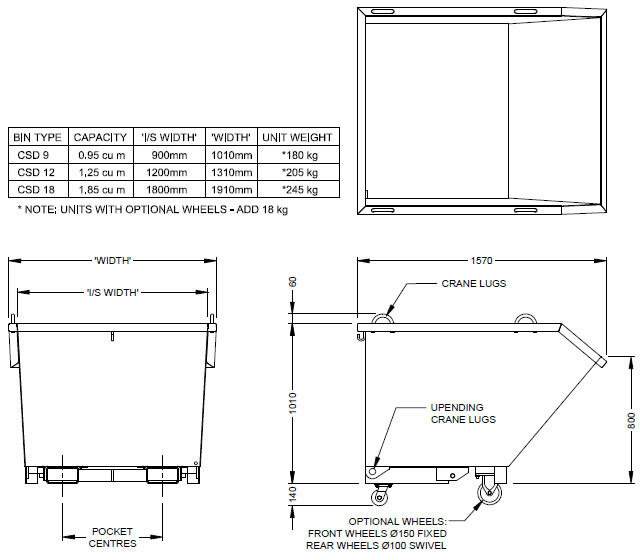 with 4 crane lifting lugs plus 2 upending lugs underneath. minimum of space for storage and transport.